There are three aspects of meditation: mindful attention, open awareness, and lovingkindness. By practicing these, we can let go of negative mental patterns and expand our heart and mind, bringing about joy, peace and inner freedom. Anam Thubten will teach and guide participants in developing these three aspects of meditation and share Buddhist wisdom on working with our thoughts and emotions. Commitment to both days of the retreat are required. Anam Thubten wishes those who want to come to the retreat to commit to participate in the full retreat from beginning to end (both days). Anam Thubten offers some guidance on why it is important to come to both days of the retreat. A retreat can have many twists and turns with many experiences: some joyful, some difficult, some pleasant, some unpleasant, depending on our own inner process. However, the retreat is a process of transformation. So everyone is asked to make a sacred commitment to stay for the whole retreat, even when it is difficult, trusting in this process. Once a retreat begins, a sacred container is formed, made up of each person's good intentions to be fully present. Leaving the retreat before it is complete energetically breaks that sacred container for others. Our mutual presence supports each other. Anam Thubten grew up in Tibet and at an early age began to practice in the Nyingma tradition of Tibetan Buddhism. He is the founder and spiritual adviser of Dharmata Foundation, teaching widely in the US and occasionally abroad. He is also the author of The Magic of Awareness; Big Sky: Poems by Anam Thubten; No Self, No Problem; and Embracing Each Moment: A Guide to the Awakened Life. Through his personal experience on the spiritual path, Anam Thubten brings alive the timeless teachings of the Buddhist tradition and invites everyone to participate. Anam Thubten will teach and guide participants on three important aspects of meditation: mindful attention, open awareness and lovingkindness. He will share Buddhist wisdom on working with our thoughts and emotions. Our five days together will be a time to dwell in profound awareness of what renews and rejuvenates our body, mind, and spirit. Supported by the conditions of spring beauty, essential Buddhist teachings, fellow practitioners, solitude, silence, and other inspiration, we reinvigorate ourselves and invite insights. The daily program will include sitting and walking meditation, mindful meals, Dharma discussion, mindful movement, outdoor walks, and personal interviews with the teacher. This retreat, held mostly in silence, is recommended for both beginning and experienced meditators who feel drawn to contemplation and mindful living. Mount Sequoyah offers 32 acres of serene beauty and nature, with its historic buildings enveloped by parklands and forests. A variety of trees and flowers explode with color and fragrance each spring. Therese Fitzgerald trained for eight years at the San Francisco Zen Center and the Tassajara Mountain Monastery, and then with Thich Nhat Hanh for fifteen years. She was ordained as a Dharma teacher by Thich Nhat Hanh in 1994. Therese lives on the island of Maui, where she works as a Dharma teacher and as a hospice chaplain. Therese has made many visits to Arkansas to lead retreats since the mid-1990's. Retreat costs: $350-$425, which includes all meals (vegetarian) and accommodations (single or double rooms). An option to attend without lodging is also available. Registration and fees are due by March 15. After that date, late fees apply. See Registration form for more information. The Zen path is ancient, yet people are still called to it and continue to practice it. This Way has been handed down for over a thousand years through forms and tradition, stories and poetry, art and ceremony. The question is, how will we walk it today and how do we make this path our own? Flint Sparks has been both a practicing psychotherapist and longtime Soto Zen priest. His teaching combines the profoundly transformative practices handed down by our Zen ancestors with the deeply practical techniques of contemporary psychotherapy. In this retreat, Sparks will guide us through teachings and meditation practices meant to intimately connect us to the origins of this transformative path and to demonstrate its relevance in the present – so that we may come to see the very real possibility of freedom from unnecessary suffering in our lives today. This is the path to a wholehearted life, nothing left out and nothing held back. The retreat is appropriate for newcomers as well as seasoned Zen practitioners. Hosted by Ecumenical Buddhist Society, a community that fosters the study and practice of Buddhism in all its forms. Cost: $150 and a limited number of partial scholarships is available. Register here. Space is limited and early registration is strongly encouraged. Flint Sparks is a Soto Zen teacher who leads retreats throughout the United States and Europe. His traditional Zen training began at the San Francisco Zen Center and continued at the Austin Zen Center which he founded and nourished as a leader in its early years. He was ordained in 2001 by Zenkei Blanche Hartman of the San Francisco Zen Center and was given Teacher Acknowledgment in a ceremony at the Austin Zen Center in 2007. Flint also spent decades in the practice and teaching of psychotherapy. His early research and counseling experience with the terminally ill inspired him to continue investigating the influence of consciousness in physical healing and emotional well-being. Today, Flint’s teaching and consulting bridge the fields of health psychology, the psychology of contemplative practices, and traditional Zen Buddhist practice. A Buddhist nun from the Theravada tradition will be visiting EBS in January. Her name is Ayya (Venerable) Sudhamma. She will be leading sessions of Dhamma talks and meditation on Friday evening and Saturday morning, with a community potluck during the last hour on Saturday. The program is called “Advice From The Heart”. Ayya Sudhamma will be sharing timeless Buddhist teachings and the lessons that she has learned walking the Buddhist path. If you would like to participate in the potluck please feel free to bring a vegetarian dish to share with others. Ayya Sudhamma was born and raised in Charlotte, NC. She was an attorney before leaving home to become a nun in 1997. She received novice ordination from Ven. H. Gunaratana (Bhante G) at the Bhavana Society in 1999. She received higher ordination as a bikkhuni in the Theravada tradition in Sri Lanka in February 2003, becoming the first Western woman to gain higher ordination there. She returned to the United States and has been a resident monastic and teacher ever since. She currently resides at the Charlotte Buddhist Vihara in Charlotte, NC. The Buddha established the sangha of monks and nuns twenty-five hundred years ago. It has existed from that time until now, making it the oldest continuously operating human institution on earth. Many Buddhist monastics, including the Theravada monastic order, still follow the original set of rules and guidelines established by the Buddha. For example, Theravada monastics cannot handle money, eat a meal past mid-day, or eat anything not specifically given to them. These practices, which seems so strict to westerners, exist to allow nuns and monks to devote their lives to the Buddhist path and provide spiritual guidance and leadership to the lay community that supports them. There is really nothing else like it in the world. The EBS board spent the last half of 2018 developing a strategic plan which will be presented at this meeting. We are very excited to share this with the community and would greatly appreciate everyone’s feedback. We hope you will join us! Come and Celebrate! Silent Auction! Supplies Drive! Bring vegetarian dishes and desserts to share with the group. EBS has some of the best vegetarian cooks! Even if the dish is a simple one, come share and let’s celebrate. As part of our mission we strive to be good stewards of our environment. If possible, please bring a plate, utensils, and/or cup for personal use. Although we will have disposable items on hand, we want to lessen the footprint on our home planet! Let’s have another great year in 2019! Silent Auction Items: If you have an item for our silent auction, please contact Charlotte. EBS Supply Drive: Bring some supplies for EBS. Have you noticed how consistently sane, good and free the Dalai Lama seems to be? Have you wondered what his secret is? In fact, his freedom is an open secret—a secret that he and many others trained in his tradition travel the world to offer to anyone willing to listen and learn. In these challenging and troubling times, gaining the ability to safeguard our basic sanity and wellness is the first step to being able to be good in the world and for the world. Charity starts at the home of our heart. Dr. Hun Lye’s approach to teaching is very clear and straightforward. He’s able to provided a historical and cultural context to the Buddha’s words that deepens our understanding here in the West. Over the weekend, Dr. Lye will guide participants in gaining greater ability in changing attitudes, opening hearts, and experiencing authentic spiritual freedom. Public Talk: Friday, December 7, 7:00 p.m.
Payment can be paid by credit card on PayPal. Please consider paying the $4 payment fee and/or additional money for our scholarship fund. Scholarship requests or questions: Please contact Cheryl Woodard at cheryl@publishingbiz.com. About Dr. Hun Lye: Dr. Lye is the founder and spiritual director of Urban Dharma in Asheville, North Carolina. He also teaches on a regular basis to groups in Malaysia, Peru, Guatemala, Ecuador, and North America. His Buddhist education is both academic and religious: having grown up in Malaysia and studied under Buddhist teachers of various traditions there. He has a doctoral degree in Religious Studies from the University of Virginia. In 2013, His Holiness Drikung Kyabgon Chetsang Rinpoche, head of the Drikung Kagyu lineage of Tibetan Buddhism bestowed the title and position of “Dorje Lopon” (Varja Master) upon Dr. Lye, a recognition of his teaching authority. Having both a profound religious training and broad teaching experience among Westerners, Dr. Lye incorporates the best of both worlds—offering a combination of fresh, engaging and critical explanations of the traditional Buddhist teachings with an honest, heartfelt, personal and thoroughly modern approach. The Mindfulness group in the Plum Village tradition (Thich Nhat Hanh) warmly invites the entire EBS community to join us for a potluck. The potluck will be at the Buddhist Center on Saturday, Nov. 10 at 6pm. Please bring a vegetarian (or vegan) dish. One of the things that our group always does is to have about a 10 minute period of noble silence when we're seated and eating our food. If you never shared a meal with others in noble silence, it can be a wonderful experience! If you have any concerns or comments, please call or text Doug Barton at 501-920-5348. Come join a group of us on a trip to Magnolia Grove Monastery on Saturday, October 6, 2018! We welcome you to come practice the art of mindful living with the community at Magnolia Grove Monastery. No experience is required. This event is open to all practice groups at our Buddhist Center as well as the community at large. We'll leave from the Buddhist Center at noon and return after lunch on Sunday, October 7. Travel time is 3 hours if you don't stop for a break. Fee is by donation. Suggested donation is $55 which includes overnight accommodation in the men's or women's dormitory, all meals and the program. Travel arrangements have yet to be arranged. Meet at the Monastery or caravan/ride share together from EBS. The monastery is located 5 miles outside of Batesville, Mississippi. The address is 123 Towles Rd, Batesville, MS. Please call Doug Barton with any questions. 501-920-5348. More information can be found on the Magnolia Grove website here. Participants in this retreat will learn several Buddhist meditation practices which have been shown to improve the capacity to increase happiness, manage stress more effectively, and interact more wisely and kindly with the people in their lives. The Wings to Awakening, balancing wisdom and compassion. Just as a bird cannot fly with only one wing, so our practice cannot take flight without the wings of cultivating the wisdom of understanding life the way it is, and the opening of the heart that is compassion. During this weekend retreat, we will explore the practices of wisdom and compassion, and offer specific practices for the cultivation of both of these. The retreat will consist of alternating periods of sitting meditation and walking meditation, as well as meditation instruction and dharma talks. There will also be opportunities to discuss your meditation and daily life dharma practice with the teachers. Click Here For the Online Retreat Registration Form and PayPal payment option. Friday, September 14: 7:00-8:45 p.m.
Saturday, Sept.15: 8:30 a.m.-5:30 p.m. NOTE: Please bring a vegetarian sack lunch on Saturday. Retreat cost: There is a sliding scale based on ability to pay. Minimum amount is $70. Suggested amount is $120. Scholarships: To request a scholarship, please email EBSRetreat@gmail.com. Terry Furstenau has been a member of the Show Me Dharma sangha since 2001 and on the teachers council since 2004. He has led Insight Dialogue and Dharma Contemplation groups for the sangha. His teachings reflect retreat experience and study with Eastern and Western Vipassana teachers, Advaita Vedanta, Dzogchen, Insight Dialogue and the non-dual teachings of Adyashanti, Richard Miller and Matt Flickstein. Joe McCormack has practice insight meditation since 1995. He has been a member of the Show Me Dharma Teachers Council since 2002. Joe leads an insight meditation group and has taught insight meditation to prison inmate since 1998. His teachers include Ginny Morgan, Phil Jones, and Matthew Flickstein. 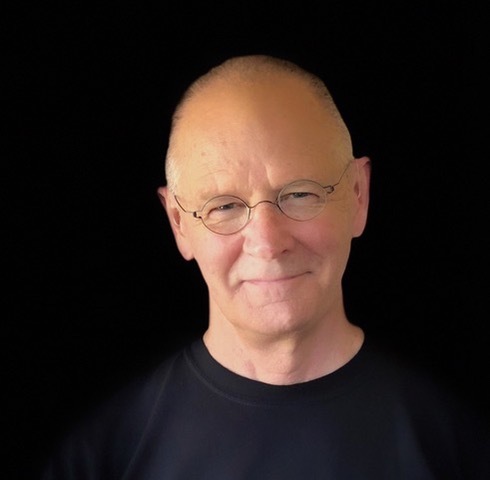 In his dharma instruction, Joe draws from Theravada Buddhist teachings, Zen and Dzogchen practice, Advaita teachings, and the Diamond Approach. Soto Zen, Kwan Um Zen, Theravada, Mindfulness, Nyingma, Sakya -- just looking at the EBS schedule we see some of the daunting array of Buddhist lineages, traditions and schools from around the world. Why are there so many, and how did they come to be? In this installment of the What is Buddhism series, Doug Holmes will provide an overview of some of the colorful characters and historical currents that brought these different traditions to our shores. There is no cost. Donations to EBS are always appreciated. Saturday, June 23, 6:30 p.m.
6:30 p.m.—Pot Luck: Bring some vegetarian food you would like to share. The Japanese island of Shikoku is the birthplace of the most revered figure in Japanese Buddhism, the monk and teacher Kobo-Daishi, who brought a populist form of Buddhism to Japan from China in the 9th century. For hundreds of years, a 750-mile pilgrimage route has circled this mountainous island, connecting 88 separate temples and shrines that claim connection to Daishi. Each leg of the journey represents a stage of the path to nirvana: awakening, austerity and discipline, enlightenment, and nirvana. This event is ongoing each Sunday. The page is updated occasionally. Be sure and look for the most recent update below. The Ecumenical Buddhist Society of Little Rock is hosting a weekly Buddhist-centered Recovery discussion each Sunday afternoon. The meeting is in the large hall from 1:00-2:15. We most recently used the book One Breath at a Time: Buddhism And The Twelve Steps by Kevin Griffin to guide us. The next book, also by Kevin Griffin, is Recovering Joy: A Mindful Life After Addiction. It can be purchased in our book store or online. Mr. Griffin is a Vipassana practitioner and his work synchronizes Buddhist teachings and the Twelve Steps quite well. His approach works both as an introduction to Buddhist thinking for Twelve Steppers and as and introduction to the Twelve Steps for Buddhists. This group is open to all. No participation in an outside 12-step group is required, nor is adherence to Buddhist teachings. Anyone who is suffering--with addiction or otherwise--might benefit from the discussions. We do honor confidentiality and ask that all attendees keep what they hear and who they see private. A quote from the author. For questions please contact Karen Wisdom at yeshewisdom@gmail.com. Join us for a short practice, potluck, and movie at EBS to celebrate Vesak Day, honoring the birth, enlightenment, and death of the Buddha. An event to mourn the violence committed in our community and the world, and walk together as active peacemakers. Public Talk--Friday, April 6, 7:00-9:00 p.m.
Public Talk seating still available. Saturday & Sunday Retreat is Full. Commitment to both days of the retreat are required. Anam Thubten wishes those who want to come to the retreat to commit to participate in the full the full retreat from beginning to end (both days). Monday, March 26, 7:00-8:30 p.m. The first in the series of “What is Buddhism” is a talk on The Goddess and Buddhism. Charlotte Besch will lead the discussion on the how the feminine manifests in Buddhism and how this relates to the Western ideas and beliefs in the Goddess. Kwan Yin will be discussed as well as various goddess sites in Arkansas. If you have questions, contact Charlotte at cabesch@midsouth.ualr.edu. Sunday, January 14, 2-3:30 p.m. The 2018 EBS Annual Meeting will be held Sunday January 14 from 2-3:30 p.m. The agenda will include a review of the year and election of Board members. We will hear from each of the practices and also discuss plans for the coming year. The meeting will be a cookie and snack potluck. Members are asked to bring snacks, cookies, fruit, veggies and other finger foods. Tea and other beverages will be provided. Come and Celebrate! Silent Auction! Holiday Food Drive & Supplies Drive! Bring vegetarian dishes and desserts to share with the group. Even if the dish is a simple one, come share and let’s celebrate. If you have any questions, please contact Charlotte Besch at cabesch@midsouth.ualr.edu. Let’s have another great year in 2018! Silent Auction Items: If you have an item or service for our silent auction, please contact Charlotte. Thursday, November 9 at 7:30 p.m.
"Slow down and breath. This contemplative journey follows in the steps of Zen master Thich Nhat Hanh and is a rare insight into life within a monastic community. The sun rises. Everything is calm and still. Life is beautifully serene as Benedict Cumberbatch's composed, meditative voice reads an extract from Thich Nhat Hanh's early journals. So begins Max Pugh and Marc Francis' (Black Gold LFF2006) fascinating and immersive exploration of what it means to devote one's life to mindfulness. With unprecedented access to the famous secluded monastery of Plum Village in the Southwest of France, Walk with Me captures the daily routine and rituals of monks and nuns on a quest to develop a deep sense of presence. It is an insightful rumination on the pursuit of happiness, living in the present and our attachment to material things--a welcome remedy to the stresses of city life and a world in turmoil. It is nearly impossible to avoid conflict in today's world—and our tendency toward hostility and discord hasn't changed much over the millennia. In ancient India, the Buddha came to realize that the underlying cause of conflict is, in fact, a thorn lodged deeply within our own heart and mind. During this retreat we will explore the historical Buddha's teachings on how to dislodge that thorn. We'll explore his advice for dealing with conflict, fear, pain, and violence, and discover our innate capacity to live together peacefully. During the weekend, there will be alternating periods of sitting and walking meditation, and time for questions. Also each participant will have the opportunity to have a conference with one of the teachers to explore how the retreat is going and how their meditation practice is unfolding in their life. Click Here For Online Retreat Registration Form and PayPal payment option. Saturday, Sept.23: 8:30 a.m.-5:30 p.m. This three-hour workshop approaches such dialogue from the vantage point of a Paul Knitter, former Catholic priest and professor of world religions at Union Theological Seminary in New York, who is a professing Christian and Buddhist and author of Without Buddha I Could Not be a Christian. Jay McDaniel will share the contents of his book in an informal way, and there will be open discussion, with sessions of breathing meditation interspersed. Participants are encouraged to purchase and peruse the book in advance. Our hope is that this can help inaugurate ongoing discussions in Christian-Buddhist dialogue throughout the central Arkansas area. Please register by emailing Dr. Jay McDaniel: mcdaniel@hendrix.edu. Lama Dudjom Dorjee was born in eastern Tibet. He grew up in India as a refugee from the Communist invasion. He received the Acharya Degree upon completion of intensive study of the Buddhist doctrine at Sanskrit University in Varanasi, India. In 1981, the 16th Gyalwa Karmapa authorized Lama Dorjee to represent the Kagyu lineage in the United States. He accepted an invitation to come to America from Karma Triyana Dharmachakra Monestary in New York. He has been teaching Dharma in the West since this time. He is presently Resident Lama of the Karma Thegsum Choling in Dallas, Texas. He is known for bringing joy, humor, and clarity to his presentations of the Buddhadharma. Lama Dorjee provides practical ways for his students to apply Buddhism wisdom while living in the modern world. Public Talk: Friday, July 13, 7:00 p.m.
Shamatha meditation belongs to the first turning of the wheel of Dharma. The ultimate culmination of shamatha practice is liberation. Using this practice, the resting mind is developed where the mind is not influenced by any positive or negative notions. The mind finds a place of equanimity. When paying by PayPal, please consider adding the $4 processing fee. Additional money can be added for the scholarship fund to this retreat. Scholarships: To request a scholarship, please email Charlotte Besch at cabesch@midsouth.ualr.edu. Saturday, August 26, 6 p.m.
6 p.m.—Potluck: Bring some vegetarian food you would like to share with the group. 6:30 p.m.—Movie, Kundun, is a 1997 epic biographical film written by Melissa Mathison and directed by Martin Scorsese. It is based on the life and writings of Tenzin Gyatso, the 14th Dalai Lama, the exiled political and spiritual leader of Tibet. Tenzin Thuthob Tsarong, a grandnephew of the Dalai Lama, stars as the adult Dalai Lama, while Tencho Gyalpo, a niece of the Dalai Lama, appears as the Dalai Lama's mother. Kundun, meaning "presence", is a title by which the Dalai Lama is addressed. Kundun was released only a few months after Seven Years in Tibet, sharing the latter's location and its depiction of the Dalai Lama at several stages of his youth, though Kundun covers a period three times longer. Dr. Hun Lye is the founder of Urban Dharma NC, based in Asheville. He has had the title and position of Dorjé Lopön (Vajra Master) bestowed upon him by His Holiness Drikung Kyabgön Chetsang Rinpoché, the leader of the Drikung Kagyü lineage of Tibetan Buddhism at Drikung Kagyü Institute in Dehradun, India. He has been a teacher at EBS since 2015. Dr. Lye brings a refreshing approach to Buddhism for all students. These teachings are for all practices at EBS. Cleansing Ritual—Friday, August 11—7:00 p.m.
Indestructible Subjugator (Vajravidarana/Namjom) is one of the five purification/cleansing deities in the Tibetan Buddhist tradition. In particular, he is the principle and function of the removal of “spiritual pollution” or dribpa in Tibetan. While the distant cause of suffering is negative karma arising from the three poisons of confusion, attachment and aversion, one of the proximate causes of suffering is dribpa. Dribpa is generated in many ways and unlike karma, dribpa may or may not have any moral-ethical dimensions. For example, lunar and solar eclipses, contact with corpses, association with individuals with very negative karmas, cutting of trees, eating food prepared by someone with strong hatred—all such actions—generate 'dribpa' that will stick to and afflict us and compromise our physical, emotional and spiritual health. In this special ritual, participants will be individually cleansed by the elixir-water blessed and empowered by the dharani-mantra of Indestructible Subjugator. This will help remove us and protect us from such polluting forces that obstruct our way to lasting happiness. NOTE—Please bring to session: Participants should come with 2 pictures from magazines, newspapers, printed internet images etc. One image should symbolize "negativity" and one should symbolize "positivity." Please DO NOT bring clippings which contain images of specific persons, politicians, famous people etc. The Buddha taught that the Awakened Heart (bodhicitta) is the source of all happiness and good. It is the essence of all buddhas. The basis of this Awakened Heart is the practice of kindness and compassion. Over the weekend, Dr. Lye will introduce and lead a set of profound practices of kindness and compassion as developed in the Mind-Training (lojong) traditions of Tibet. Saturday, Aug 12: 10:00 a.m.-1:00 p.m. & 3:00-5:00 p.m.
Sunday, Aug 13: 10:00 a.m.-1:00 p.m. & 3:00-5:00 p.m. Cost: $100 for both days of the retreat. Questions: Contact Melissa Gill at meegill@gmail.com or at 520-425-2773. Dorjé Lopön Dr. Lye grew up in a Buddhist home in Malaysia. From a young age, he studied and practiced Buddhism with teachers of various traditions. He met his first Tibetan teacher when he was an undergraduate student in the United States. After earning a doctorate degree in Buddhist Studies at University of Virginia and teaching for ten years in American academic institutions, Dr. Lye left academia to devote his energy fully to Dharma work. In 2013, he was appointed as a Dorjé Lopön (lit. "vajra-master") of the Drikung Kagyü Lineage by His Holiness Drikung Kyabgön Chetsang Rinpoché (Head of the Lineage) and was formally enthroned in his home city, Penang, Malaysia. 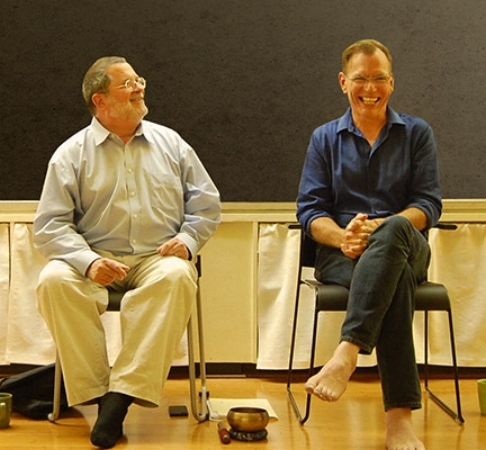 When not teaching, leading retreats or serving the Lineage in Asia and North and South America, Dr. Lye teaches at Urban Dharma North Carolina in Downtown Asheville where he is the founder and spiritual director. Half-Day Sit Saturday August 5th from 1:00 pm to 4:00 pm. On the first Saturday of each month EBS has a half-day retreat lasting from 1:00 to 4:00 pm. Each hour will consist of 40 minutes of sitting meditation and 10 minutes of walking meditation. There is no cost. Ten minute breaks are scheduled on each hour (at 2:00 and 3:00 p.m.) to allow people to join later or leave earlier if they have other commitments. These events are in the spirit of the Uposatha days celebrated in Buddhist countries since the time of the Buddha. It is a day when both monastics and lay people intensify their practice. As he is recollecting the Dhamma, his mind is cleansed, and joy arises; the defilements of his mind are abandoned. He is thus called a disciple of the noble ones undertaking the Dhamma-Uposatha.